The bouquets at the Morris wedding were some of the most adorable you'll ever see. COLLINSVILLE, Ill. — A rustic barn on Willoughby Farm served as the backdrop of Brian and Kyle Morris’ wedding day. They wore navy suits. 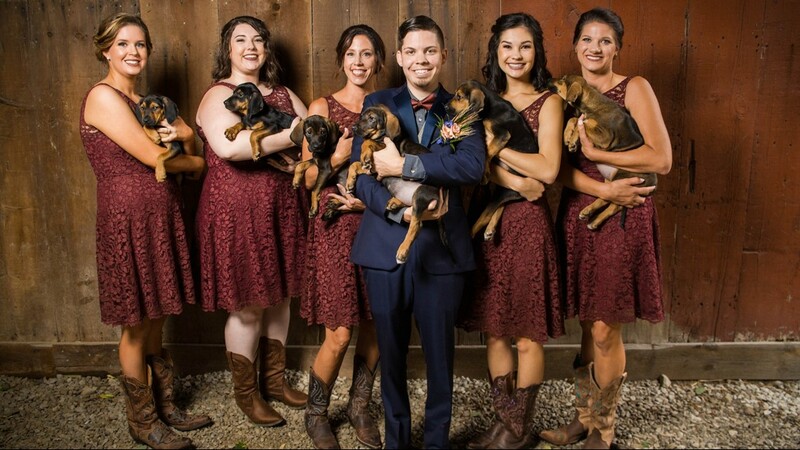 The bridesmaids wore lace dresses and cowboy boots. It looked like a classic, fall ceremony in Collinsville, Illinois. But the bouquets at the Morris wedding were some of the most adorable you’ll ever see. The couple decided to have their 10 bridesmaids hold something other than lilies, roses and baby’s breath. “Kyle and I have always been dog lovers,” Brian told 5 On Your Side. 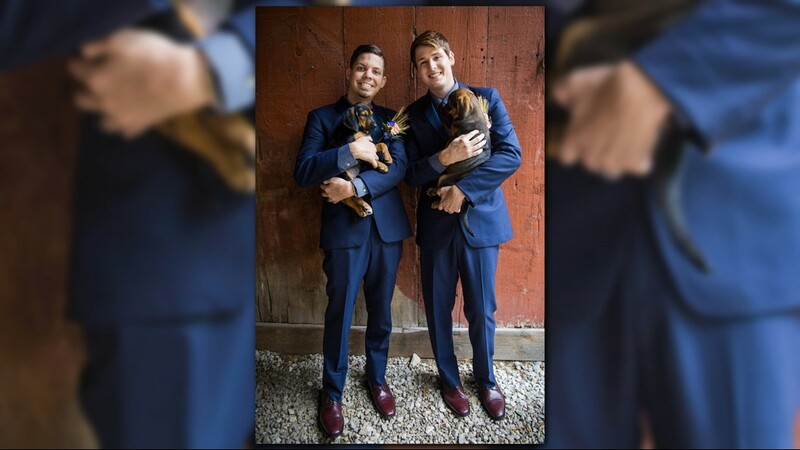 Brian and Kyle have three dogs of their own, including one from the Troy, Illinois-based animal rescue Partners for Pets, so it seemed like a no-brainer to do ‘puppy bouquets’ instead of flowers. 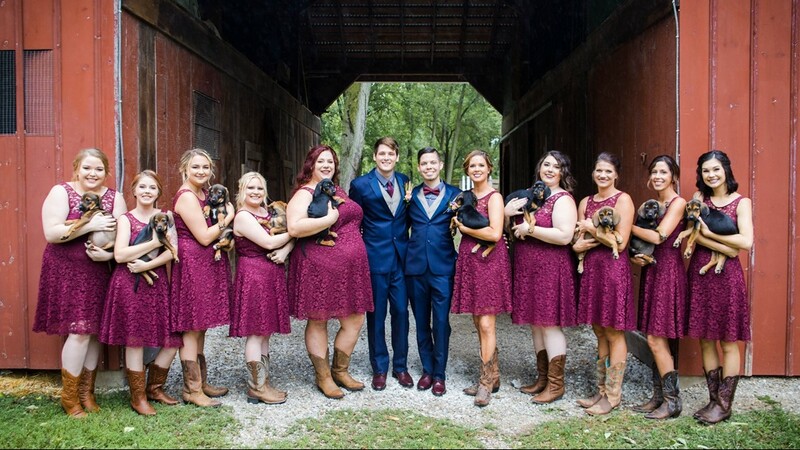 With the help of the non-profit, the newlyweds were able to bring in a litter of puppies for their special day. 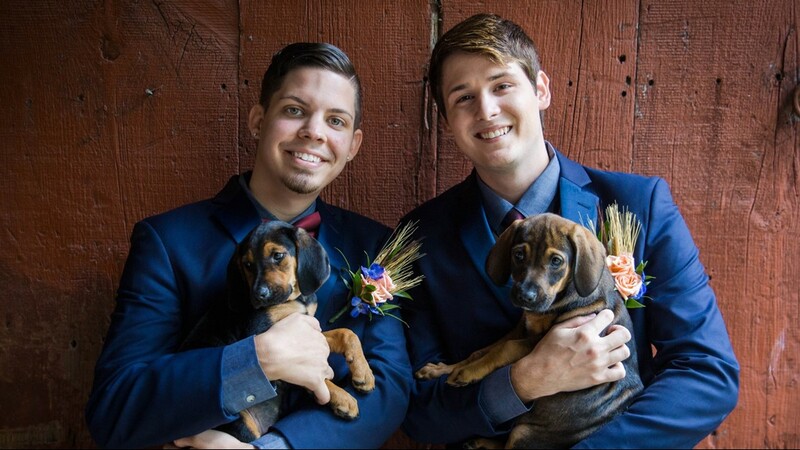 “We thought having dog bouquets would be a great way for everyone at our wedding to see cute puppies,” Brian said. The dogs were a hit. 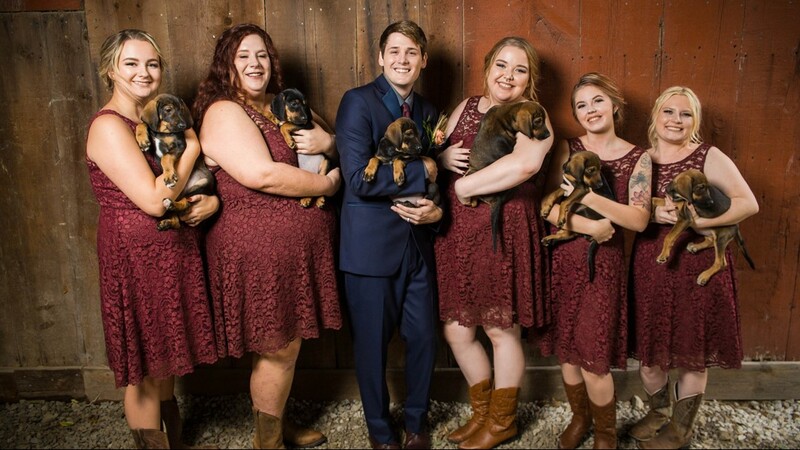 Photos from the wedding show the bridesmaids and newlyweds couldn’t stop smiling while snuggling with the pups. It was also a way to help 10 little pups find their ‘furever’ homes. “We wanted the new puppies to get out of their cage for the day!... and maybe even get some adopted,” Brian said. Eight of the puppies have already been adopted, but two are still are still available. If you’re interested in bringing one of them into your home, reach out to Partners for Pets here. Congratulations to Kyle and Brian!